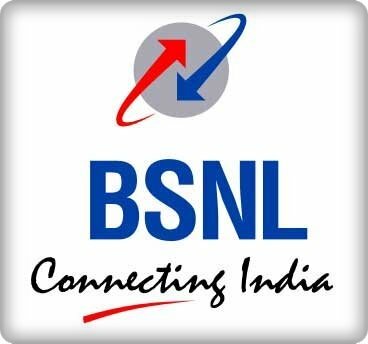 bsnl broadband plans Bharat Sanchar Nigham Limited (BSNL) is India’s No. 1 internet service provider with High speed Broadband Connection for Home and business Users. BSNL Offers Limited and Unlimited Broadband Plans, where in Limited Plans you have to pay extra charges for Downloading and in Unlimited Plans you can download as much as you want without any extra charges. 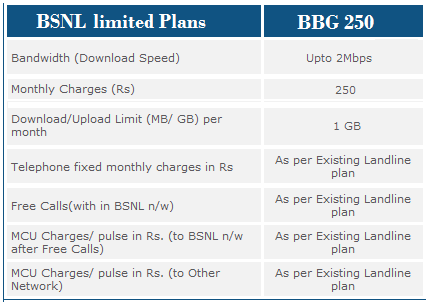 BSNL offer Limited Plans Like BBG 250 and many unlimited Internet Broadband plans like HOME ULD 525, HOME COMBO 650, HOME COMBO ULD 800, HOME COMBO ULD 950 for home users. BSNL Broadband is the best Internet Broadband service Provider in India and also Cost efficient. If you don’t have Broadband Connection then you can Apply Online or send SMS BB to 54141 for Broadband.